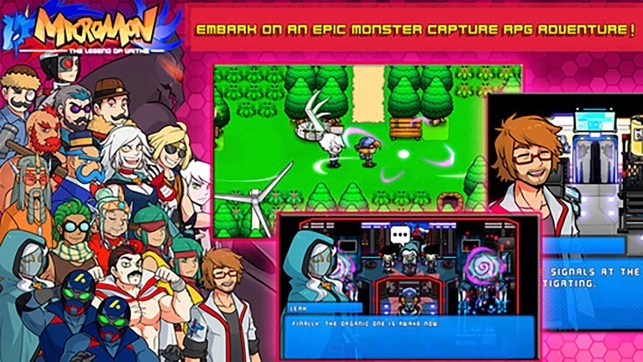 Micromon is now FREE to play! 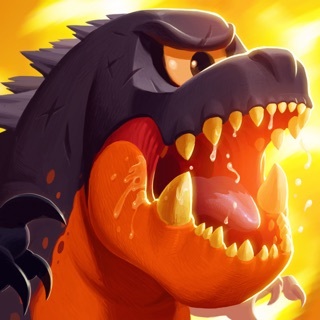 Please check out NEXOMON for your next epic monster capture adventure at https://www.facebook.com/NexomonGame ! 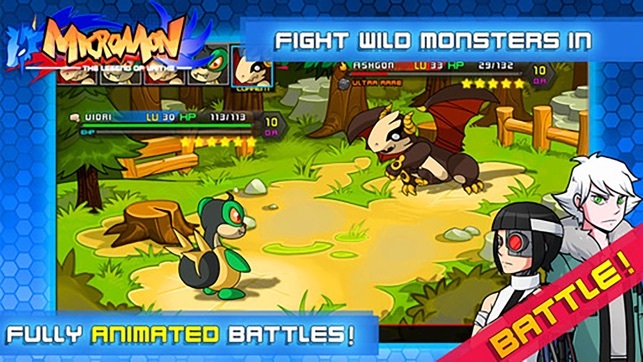 - Micromon is now FREE for a limited time to celebrate the upcoming game NEXOMON! I recently found out about this after seeing an ad for it. At first, I didn’t know what to think and was a bit uneasy about trying it out after some bad experiences with other collection games because of how the companies were growing more and more greedy or negligent towards the operations of said games. This is by far a great and the company has done well with its design. I still have a little trouble understanding how the DR system works, but nothing to major. I am concerned with the direction this game will take as it seems updates for it have ceased. I do have one complaint and that’s the difficulty with acquiring certain catchable Micromon. 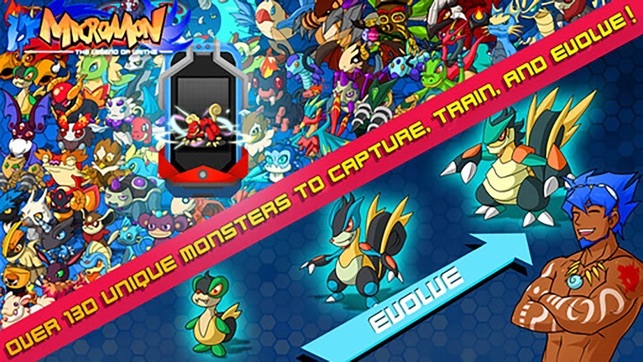 It’s to bad there isn’t some simple achievement system that would at least allow us the chance to acquire copies of the five starters or maybe a pet that would help boost the appearance rate of high rarity a Micromon in the wild. I’m still at the beginning raising my Micromon before moving onto the water area so I’ll probably update this later. 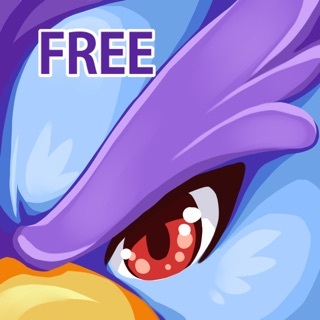 Thank you to the developers who have worked very hard on this game. This is a dream come true! I was longing for something like Pokémon on iOS, but not exactly pokemon. Something different. 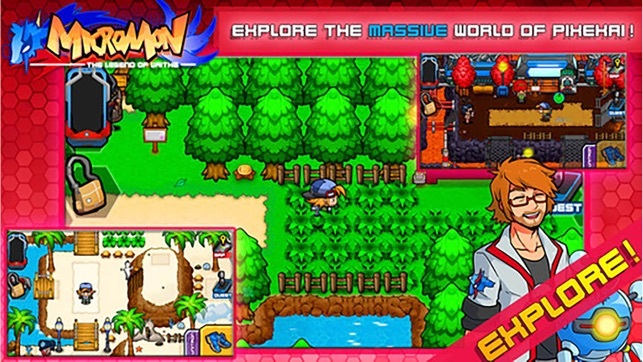 A game that is still fun, but not a ripoff copy! Maybe even better than pokemon! I just met an app that’s a dream. 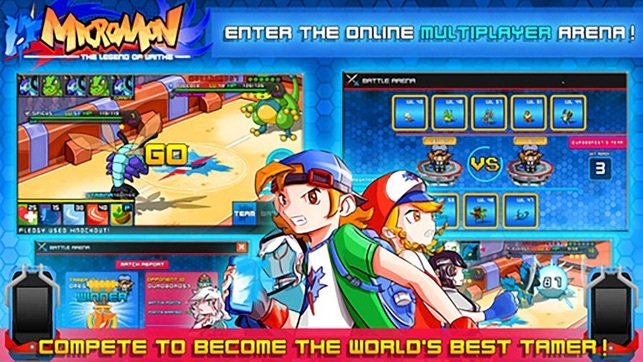 Yet, it still didn’t make it to “better than pokemon”, but it did make it to “the same level as pokemon”. There’s a bonus too! You don’t need WiFi! Although I have one suggestion that many others have too probably. Can you make the animation a little bit better? Please? 😃 Also the evolutions on some of them look better than others. 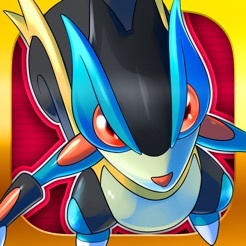 Please make the Micromon look a bit more detailed. © 2014 Aplicaciones Móviles MOGA S.A.